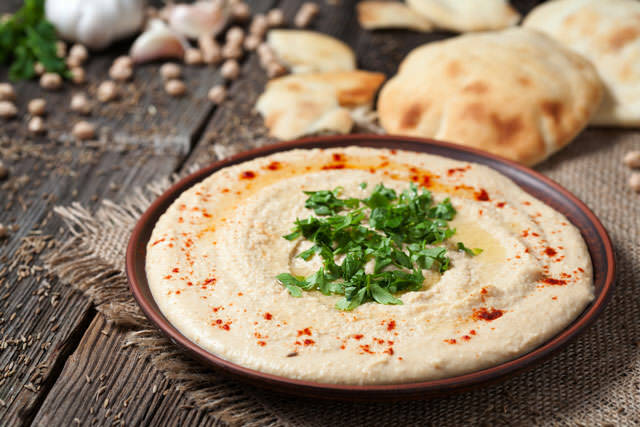 Hummus is solid proof that some of the best-tasting things in life are the simplest to make, so stop whatever you’re doing and head on toward the kitchen – you’ll be glad you did. This recipe is as easy as it can get. Put the garbanzo beans lemon juice, tahini, garlic, and salt into a blender or food processor. Blend it until it is smooth, and then transfer the mixture to a serving bowl. Drizzle olive oil over the mixture, sprinkle it with paprika and parsley, and voilà! You’re done!